Alex West compound, the neighbourhood of Carrefour Hypermarket- Orouba Mall, Borg Al Arab and Al Amreya districts. 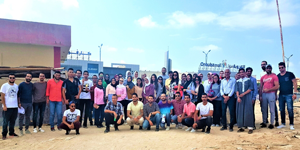 The aim of this visit was to get the students apprised of the bridges that linking the downtown of Alexandria city to these outlying areas as well as the urban fabric of each area that manage to distinguish it from others. 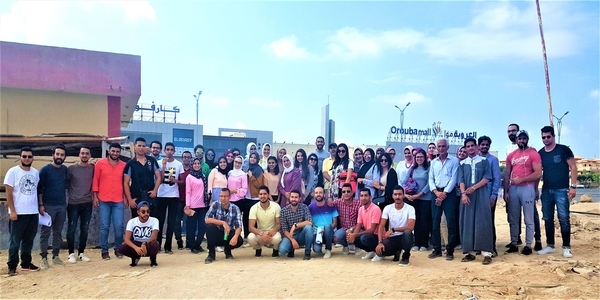 The students went in this site visit in company with a group of academics, including Prof. Ahmed Salman, Prof. Ibrahim Marouf, Dr. Riham Nady, Eng. Lamees Hani, Eng. Nourhan Mohamed, Eng. Sara Haytham and Eng. Omnia Nagy.